My flash memoir “Dial-Up Days” is featured in the January 2015 issue of Carbon Culture Review. 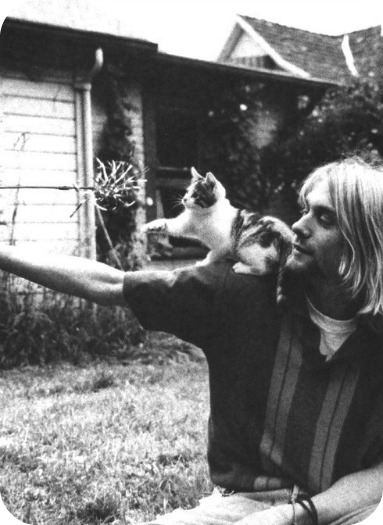 Kurt Cobain and friend, 1990s. Once there was a Blockbuster on every corner, and from every radio Kurt Cobain sang about teen spirit. But Kurt was no longer a teenager at the time, and neither was I. We were a generation waiting to be named, a weak signal of discontent arcing our way across analog airwaves into a digital wilderness.